Yay, I did it! 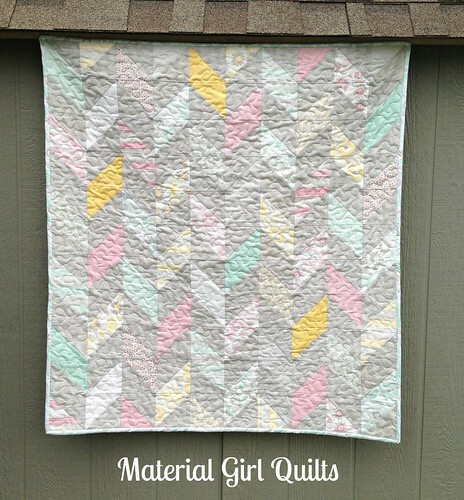 I finished this super fun to piece baby quilt and I have to tell you that I am so in love with it. 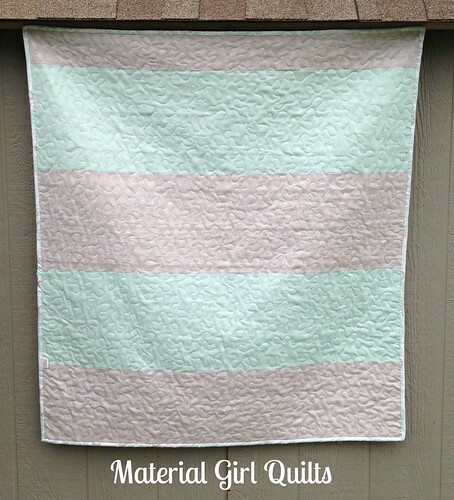 The colors are so soft and just seem snugly before you even touch the quilt! 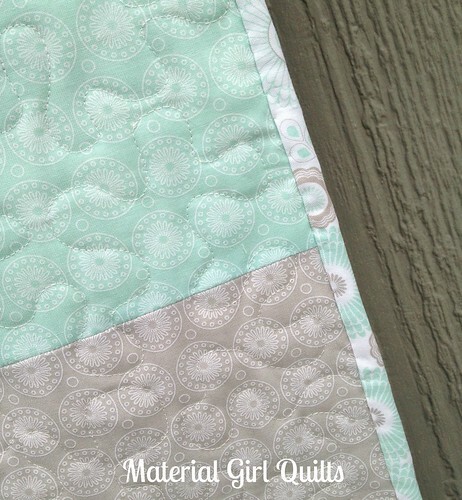 The fabric used in this quilt is Willow by Riley Blake. I just love how "quiet" it is and yet still so beautiful. 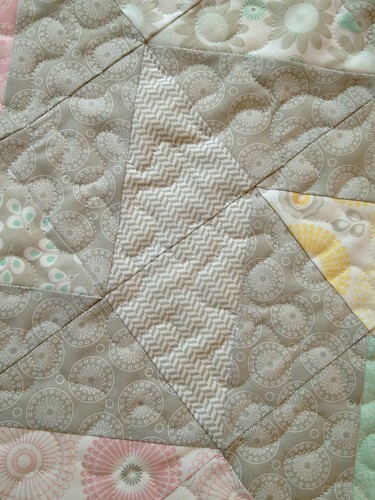 It was pieced and quilted entirely with Aurifil 50wt thread #2021 (ivory). 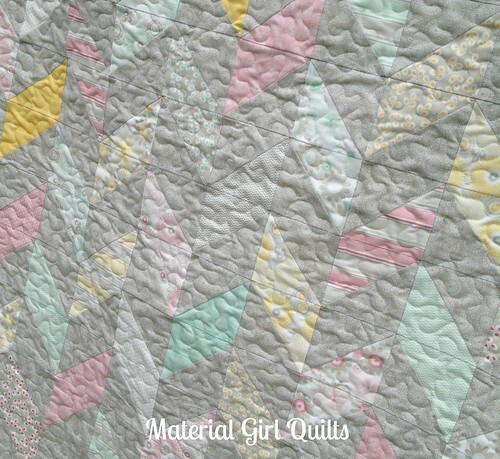 The inspiration for this quilt design came from this fabric in the Willow line. Isn't it just the best herringbone fabric? I didn't have a piece large enough for the back, so I pieced two fabrics together into stripes and think it turned out pretty cute. The binding is another print from the Willow line and I think it sets it off nicely. I also just love the perfect stitches I get with the Aurifil thread. I really need to stock up on more colors of this amazing stuff! Now I will be off to deliver this to the soon to be Mommy tomorrow!